The result of years of careful study and experience with the flora and fauna of the lowcountry, Briggs’ Charleston Gardens contains a wealth of narrative and visual material related to the area’s botanical and horticultural heritage, historic and contemporary gardens, plantation landscapes, and ornamental plants. The publication was enhanced with botanical prints and black and white photographs by Adamson Brown. 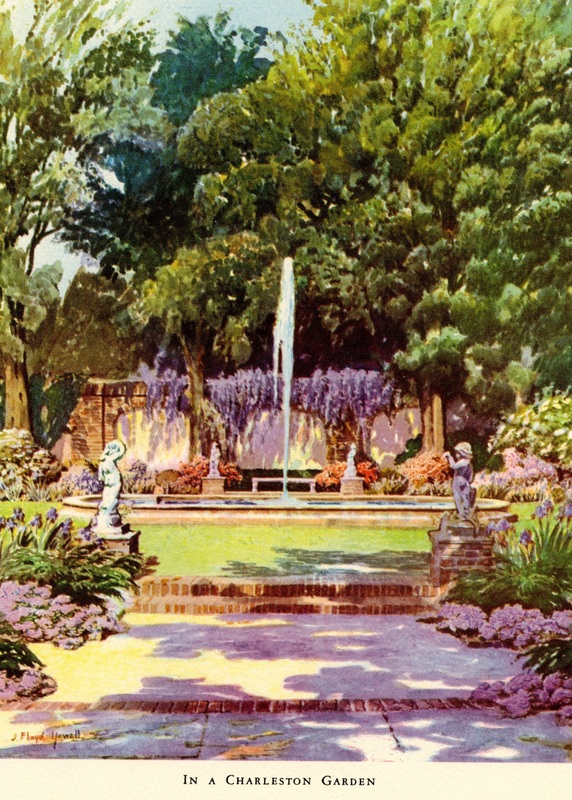 A rendering of the Roebling garden by New York architect and artist J. Floyd Yewell is featured adjacent to the title page. Image from Charleston Gardens. Courtesy of Special Collections at the College of Charleston.